I originally posted the following at deviantART ( https://jd-man.deviantart.com/journal/SD-The-Saurian-Dakotaraptor-could-be-better-707516300 ). Long story short, I disagreed w/the ecological/behavioral depiction of the Saurian Dakotaraptor & provided contradictory evidence (which I think is more in line w/the generally agreed-upon hypothesis that "Dromaeosaurs Are Terrestrial Hawks": https://qilong.wordpress.com/2011/12/19/dromaeosaurs-are-terrestrial-hawks/ ) in my Saurian DevLog comments. I originally wasn't planning on posting modified versions of said comments here. However, since the Saurian team never got back to me, I figured this post might be a good way to 1) find out more from readers about the Saurian team's reasoning, & 2) remind readers to always think critically about what they're reading. P.S. In terms of ecology/behavior, the "Dinosaurs in the Wild" Dakotaraptor is better. More specifically, it "has an extensive plumage, nests in colonies, and behaves like a big, flightless hawk" ( https://twitter.com/TetZoo/status/927831813791379457 ). This is especially apparent in the hatchery ( https://www.youtube.com/watch?v=8-mFh0xjJp0&t=6s ). Sorry for commenting on DevLog #19 here, but it took me a while to get all my thoughts together in writing. I wasn't even sure if I should comment at all: For 1, I get that it's probably too late to make changes at this stage of the Saurian-making process; For another, I get that you guys probably have valid reasons for the ecological/behavioral depictions in Saurian. However, I decided that, just like when reviewing books, contradictory evidence should always be made known whether or not it changes anything. At the very least, maybe it'll help for future reference. "but parents will not bond to their children or partners. This means that Dakotaraptor hatchlings will generally try to follow one of their parents while simultaneously searching for food and water, while their parents will mostly ignore them and go about their business. Players can rely on the presence of their parents to help defend from some certain threats, but the parents won’t hesitate to abandon them if they are threatened. 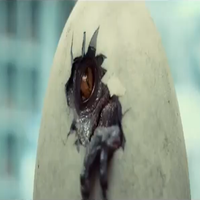 At a certain age, the hatchlings will start to see their parents as threats, and their parents will see them as food, so they will part ways" ( https://sauriangame.squarespace.com/blog/1633 ). 1stly, in reference to parent-parent bonding, see the Varricchio et al., Zelenitsky/Therrien, & Mike quotes. They discuss evidence suggesting that at least some deinonychosaurs, including a probable dromaeosaurid, formed cooperative mated pairs that worked together to build nests &, presumably, raise young. There are other quotes discussing related evidence, but this comment is running long. If you want to see said quotes, let me know & I'll include them in another comment. Quoting Varricchio et al. ( http://www.academia.edu/12248015/Nest_and_egg_clutches_of_the_dinosaur_Troodon_formosus_and_the_evolution_of_avian_reproductive_traits ): "The longer time required by coelurosaurians to generate a clutch with monoautochronic ovulation and brooding may have necessitated a longer pair-bond between mates and greater parental investment in coelurosaurians like Troodon in comparison with typical crocodilians." Quoting Zelenitsky/Therrien ( http://onlinelibrary.wiley.com/doi/10.1111/j.1475-4983.2008.00815.x/full ): "Montanoolithus strongorum is only the second type of maniraptoran clutch known from North America, after that of Troodon formosus (Horner and Weishampel 1996; Varricchio et al. 1997, 1999). Our cladistic analysis reveals that TMP 2007.4.1 belongs to a maniraptoran theropod that is phylogenetically bracketed by Citipati (Oviraptoridae) and Troodon (Troodontidae) + Numida (Aves); the basal position of Deinonychus in this analysis may be due to missing data (50%) for this taxon. The phylogenetic position of Montanoolithus within Maniraptora indicates that this taxon is more derived than Oviraptoridae but less derived than Troodontidae. The only maniraptorans (besides Troodon) known from the Two Medicine and Oldman formations of North America are caenagnathids and dromaeosaurids (Weishampel et al. 2004), which represent the most probable egg-layers of Montanoolithus. However, the crownwards position of Montanoolithus relative to oviraptorids may support a dromaeosaurid affinity." Quoting Mike ( http://blog.everythingdinosaur.co.uk/blog/_archives/2008/11/15/3977934.html ): "By studying the fossil the scientists have been able to determine that this dinosaur dug its nest in freshly deposited, loose sand, possibly along the shore of a river. An analysis of the substrate under the actual fossil indicates that the dinosaur disrupted the rock underneath, indicating that there was a substantial amount of effort put into the digging when excavating the nest. Perhaps this indicates that the mated pair worked together". Quoting Horner ( https://www.researchgate.net/publication/268506001_Evidence_of_dinosaur_social_behavior ): "Data from Egg Mountain and Egg Island now provide extensive evidence to hypothesize the nesting behaviors of Troodon and the paleoecology of its nesting ground. The animals nested in colonies, used the nesting ground on at least three different occasions, constructed nests with rimmed borders, arranged their eggs in neat, circular clutches, brooded their eggs by direct body contact, and, apparently brought the carcasses of Orodromeus to the nesting area for their hatchlings to feed on. The hatchlings left their respective nests, but may have stayed in the nesting area for a short period of time before following the adults out of the nesting ground." -The Britt et al. quotes discuss evidence of hawk-like gregariousness in Utahraptor ("Through observation in New Mexico over a period of years, Dr. Bednarz has determined that hawk families -- generally two primary breeders, some younger adults and some immature yearlings -- form hunting parties each morning": http://www.nytimes.com/1993/01/19/science/rabbits-beware-some-birds-of-prey-hunt-in-packs.html?pagewanted=all ). -The Bakker quote discusses evidence of hawk-like "family values" in allosaurs that also applies to velociraptorines ("Juvenile teeth display the same features as those of adults, but on a smaller scale": https://www.academia.edu/1974330/SWEETMAN_S._C._2004._The_first_record_of_velociraptorine_dinosaurs_Saurischia_Theropoda_from_the_Wealden_Early_Cretaceous_Barremian_of_southern_England._Cretaceous_Research_25_353-364 ). Quoting Britt et al. (See "4.2.2. Dinosaurs", page 5: http://ac.els-cdn.com/S0031018209002132/1-s2.0-S0031018209002132-main.pdf?_tid=e6f32422-4966-11e7-a204-00000aacb35e&acdnat=1496609376_b1e828585f4e80840ee76ec6ac5534cb ): "The number of identifiable specimens, NISP, of dinosaurs in our collection is 2069 (excluding 590 ankylosaur osteoderms) and the MNI is 67. These numbers are the basis for the comparisons presented here. Theropods are unusually abundant at DW (NISP= 227; MNI= 13), comprising 11% of the dinosaurian NISP and 19% of the dinosaurian MNI. The dromaeosaurid theropod, Utahraptor, dominates the theropod assemblage, and is represented by 62 teeth and 146 bones pertaining to at least nine individuals (based on hind limb elements), including 2 adults, 3 subadults, and 4 juveniles." Quoting Britt et al. (See "5.5. Historical taphonomic history of the Dalton Wells bone beds", page 14: http://ac.els-cdn.com/S0031018209002132/1-s2.0-S0031018209002132-main.pdf?_tid=e6f32422-4966-11e7-a204-00000aacb35e&acdnat=1496609376_b1e828585f4e80840ee76ec6ac5534cb ): "The presence of clusters of partial carcasses of Gastonia, Venenosaurus, and the iguanodontid, suggest that groups of these taxa died and were introduced enmasse to the thanatocoenose. Accordingly, we speculate that these, and possibly other well-represented taxa at DW (basal macronarian, Utahraptor, other sauropods) were gregarious." Quoting Bakker (See Wolberg's "Dinofest International: Proceedings of a Symposium Sponsored By Arizona State University", page 62): "A striking difference exists in modern communities between cold-blooded predators and hot-blooded predators. Most bird and mammal species feed their young until the youngsters are almost full size; then and only then do the young set out to hunt on their own. Consequently, the very young mammals and birds do not chose food items independently of the parents. Young lions and eagles feed on parts of carcasses from relatively large prey killed by the parents. Most snakes, lizards, and turtles do not feed the young after birth, and the new-born reptiles must find prey suitably diminutive to fit the size of the baby reptilian jaws and teeth. A single individual lizard during its lifetime usually feeds over a much wider size range of prey than a single individual weasel or hawk, because the lizard begins its life hunting independently. Therefore, a predatory guild of three lizard species with adult weights 10g, 100g and 1000g would require a much wider range of prey size than a guild of three mammal predator species with the same adult weights. If allosaurs had a lizard-like parental behavior, then each individual allosaur would require a wide size range in prey as it grew up. The evidence of the Como lair sites strongly suggests that the dinosaur predatory guild was constructed more like that of hot-blooded carnivores than that of lizards or snakes. This theory receives support from the shape of the baby allosaur teeth. In many cold-blooded reptilian predators today, the crown shape in the very young is quite different from the adult crown shape. For example, hatchling alligators have the same number of tooth sockets in each jaw as do the adults, but the hatchling crowns are very much sharper and more delicate. In the hatchling all the teeth are nearly the same shape, and the young gators have less differentiation of crown size and shape along the tooth row; the hatchlings lack the massive, projecting canine teeth and the very broad, acorn-shaped posterior crowns of the adults. Young gators feed extensively on water insects, and the sharp crowns are designed for such insectivorous habits. Adult gator species use their canine teeth for killing large prey, such as deer, and employ the acorn crowns to crush large water snails and turtles (Chabreck, 1971; Delaney and Abercrombie, 1986; McNease and Joanen, 1977; Web et al, 1987). If allosaur hatchlings fed independent of adults, I would not expect the hatchling tooth crowns to be the same over-all shape as that of the adult. However, the over-all tooth crown shape in the tiniest allosaur IS identical to that of the adult (figs. 3,4). Thus it appears that hatchlings were feeding on prey tissue of the same general texture and consistency as that fed upon by adults."